Less than 5 Limited Edition Holiday Canisters available. Get yours today before they sell out! 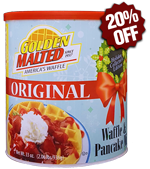 Give the gift of America's Favorite Waffles and Pancakes with our popular Original Mix! 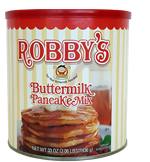 Our best-selling Original Waffle and Pancake Mix that has been served in America's best hotels, restaurants and theme parks for over 80 years is now available in a premium classic canister. 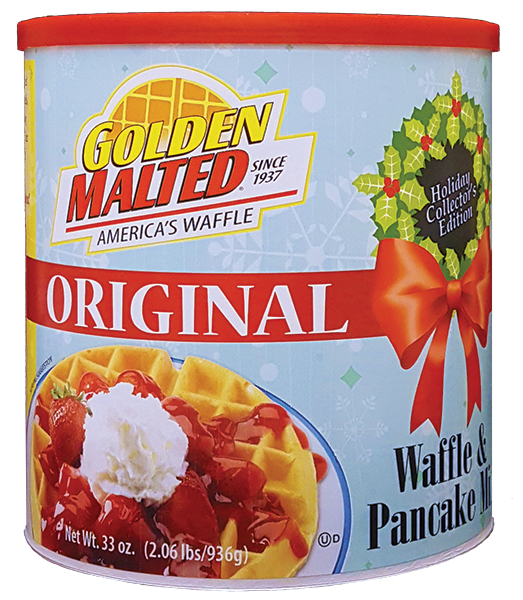 Treat your family and friends this Holiday Season to our delicious golden-brown waffles and light & fluffy pancakes - get yours today! Only available while supplies last. Original Classic canisters may be substituted. INGREDIENTS ENRICHED WHEAT FLOUR (WHEAT FLOUR, NIACIN, REDUCED IRON, THIAMINE MONONITRATE, RIBOFLAVIN, FOLIC ACID), CORN FLOUR, LEAVENING (BAKING SODA, MONOCALCIUM PHOSPHATE, SODIUM ACID PYROPHOSPHATE), MALTED BARLEY EXTRACT, CONTAINS 2% OR LESS OF THE FOLLOWING: SALT, SUGAR, BUTTERMILK, ARTIFICIAL FLAVOR. CONTAINS: WHEAT AND DAIRY. Our favorite waffle/pancake mix ever. We always loved the waffles they serve at Hampton Inns, so on one of our stays, we inquired about their recipe. They brought us to the back and showed us their secret. 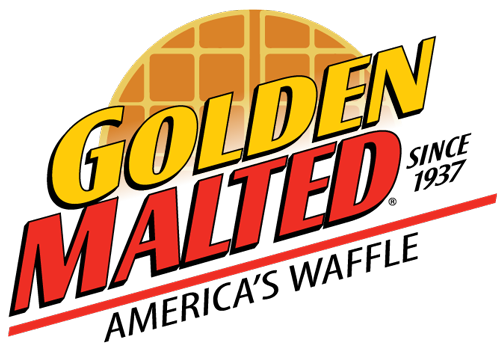 It was Carbon's Malted Waffle & Pancake Mix. 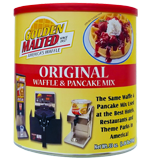 As soon as we got home from our trip, we bought a waffle maker and ordered a case (6) of this mix. We have never been disappointed. Our grandchildren always request our waffles when they sleep over and our other guests are always asking for the recipe. 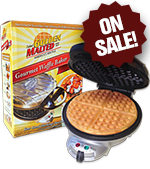 This makes amazing waffles, I'll definitely buy more when I run out for the holidays!